The goal of all business programs is to provide students with the opportunity to develop their communication, interpersonal, leadership and teamwork skills. 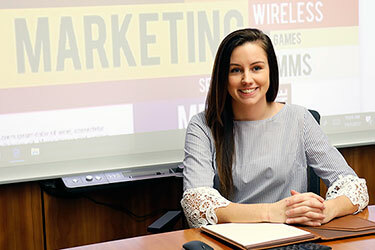 The core program provides students with a basic understanding of the business environment in support of the learning objectives of each specific major concentration. Students who are interested in transferring to another college to earn a bachelor’s degree should select courses that will meet requirements at the college of their choice. Students planning to develop career skills to use directly after graduation may elect courses to prepare for jobs in accounting, management, marketing, financial services and general business administration.